What's Your Recipe… for helping anxious clients to relax? One of the greatest responsibilities spa professionals take upon themselves is to create a safe and welcoming environment for clients. Although a primary client expectation is that an intended result is delivered within a clearly-defined scope of practice, it is just as essential to have positive energy generating and a comfortable setting for clients when they visit. There are different approaches to creating an ambiance that encourages a stress-free experience, especially one that will help even the most anxious clients relax. Factors to consider include: the setup of the space, lighting, décor, sound, aroma, and, of course, the garb and manner itself in which staff and the practitioners present themselves. The first step to paving the way to great client experiences is to ensure that the receptionist is friendly and patient during the process of booking an appointment. A basic tip for the staff is to always smile when speaking with clients. Frankly, the impact of a smile is an easy way to assure that the voice will carry across as warm and clients will feel more comfortable. Synchrony is another effective technique to build rapport with clients. By subtly mimicking clients’ manner, such us their body language or tone of voice, they will subconsciously let their guard down. Engaging as many senses as possible will, certainly, support the way clients feel. 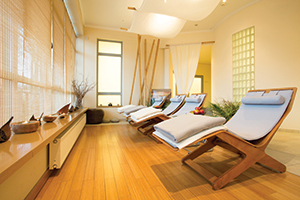 Having natural or warm lighting in the spa allows for an organically serene mood. In addition, a warmly lit room is forgiving when looking in a mirror, meaning it does not bring attention to skin or even body imperfections that, otherwise, would dramatically be noticeable under halogen or bright lights, for example. It is critical to make sure that clients do not feel self-conscious in any way. Regarding décor, be careful with the placement of mirrors around the spa. Overall, there really is no need to have a mirror hanging on the wall in the treatment room. It is better to avoid any potential awkward moments that can cause clients to be uncomfortable or feel as though they are being watched or exposed in any way. Clients should be able to indulge in soothing botanical aromas throughout the spa. Having fragrant candles certainly is great for the senses, but if it is a hazard, essential oil diffusers provide a safe alternative. Some essential oils that are calming and promote relaxation include lavender, vanilla, rose, jasmine, frankincense, and chamomile. Consider, also, adding a drop of de-stressing essential oils to hot towels. For clients who are still anxious, even after they are already in the treatment room, place an aroma-infused hot towel against their neck and forehead for a few minutes, before beginning the service. This trick triggers a deep breathing effect, which encourages the release of stress. Rest the palms gently, but firmly, on clients’ shoulders to let them feel secure and reassured that they are in good hands. A rewarding aspect of this profession is being able to make a difference. A top priority and goal for any professional is making sure that clients leave the spa in a better state than how they entered. Ultimately, that is what gives the industry greater meaning, respect, and value. What is the best protocol for servicing a client with pink or red eyes? Conjunctivitis, commonly known as pink eye, occurs when the conjunctiva becomes inflamed. It turns very pink or red due to its many blood vessels dilating in response to an irritant. There are several types and causes for conjunctivitis. Bacterial Conjunctivitis: This form is highly contagious. Signs include red eyes, itchy eyes, and a sticky yellowish green eye discharge. The only way to clear the eyes of this particular conjunctivitis is to see a doctor for an antibiotic prescription. Viral Conjunctivitis: This is highly contagious and can be spread by direct contact and shared makeup. Signs are red, watery, itchy eyes. It may also make eyes sensitive to light. Allergic Conjunctivitis: This type can cause severe irritation and swollen lids with itching. The eyes can be itchy, burning, and red. This can be caused from eyelash extension adhesive (so make sure eyes are shut properly to limit exposure of vapors getting into the eyes.) It can also be caused from creams, cleansers, and facial products getting in the eye. Eye drops can soothe and re-lubricate the eye. Environmental Conjunctivitis: This form can occur due to exposure – whether it is from ultraviolet exposure, a patient sleeping under a fan with incomplete eyelid closure at night, or seasonal allergies. Eye drops can help as long as infection does not set in. Unclean contacts can cause a bacterial infection which would need antibiotics to remedy. Contact lenses can also cause irritation. Eye drops made for contact lenses could help. If applying eyelash extensions on someone and their eyes become red, this is chemical conjunctivitis and can be relieved with eye drops. If skin care products cause the eyes to become red, use eye rinse to flush out the eyes. If the client is unable to answer these questions or has not yet seen a doctor, tell them it is best not to perform the service today and to wait to reschedule until the condition clears up. If it does not clear up by the next day, or there are any other symptoms, recommend he or she see an eye doctor. 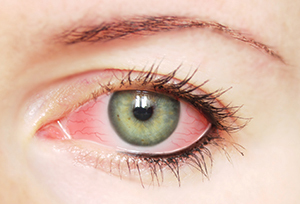 Red eyes could be the start of viral or bacterial conjunctivitis. If services are performed and the client does have conjunctivitis, it will be a recipe for disaster. How do you schedule self-care during the holidays? In the spa industry, professionals are usually very busy taking care of clients, preparing their spas for seasonal events and sales, and working extra hours to accommodate everyone during the holiday season. Professionals often miss family gatherings, shopping with friends, and taking the time to get into the holiday spirit themselves. It is just as important to focus on self during holiday preparation, as it is on business. What are the best practices for hiring a former employee? When today’s baby boomers first entered the workforce, and went on to take it over, employees came to their place of employment and, if all went as planned, stayed there for the duration of their career. This was, in essence, what was expected on both ends. The workforce has changed considerably in recent decades. Long-term career loyalty is no longer the case. Employers consider themselves lucky if an employee stays more than two years and spending a decade or more with an employer is almost non-existent. With all of this transition, what happens when a former employee asks to come back to work? While some might immediately consider this to be a hard “no,” it may be valuable to evaluate several things before making a decision. First, who wants the employee to come back: the spa or the employee? If a spa owner must beg an ex-employee to come back, the situation is ultimately going to end with him or her leaving again, and this time, it would most likely be sooner than later. The employer will end up in the same position all over again. Also, consider why the employee originally left. What made the employee decide they wanted to come back? Where would the employee fit if hired back? There are all sorts of reasons people leave their current workplace. It could be that they leave in order to make more money or to secure a higher-level position not available in a small practice or spa. Or, they may have needed to move out of town when they got married or a spouse got transferred. It could be that someone made them an offer they just could not refuse. It could also be that the spa had another incredibly toxic staff member at the time that caused a mass exodus. If any of those reasons are the case, it may still very well be in the spa’s best interest to engage in a conversation about working together again. Do not be afraid to ask the former employee questions about why they left and why they are returning point blank. Also, consider how their departure went and how bringing the employee back would affect the morale of the rest of the team. Now, be aware, there are certain conditions in which it does not make sense to engage in a conversation about re-hiring a former employee. If the former employee was anything but a rockstar, it most likely does not make sense. Consider if the employee was ever any of the following while working previously: lazy, consistently late, rude to clients, stole from the office, caused drama amongst the rest of the team, or made life flat-out miserable. If the answer is yes to any of these – then, rehiring is not a good idea. Those items are deal breakers. In cases like those aforementioned, it is more than likely that, in the time since the employee left, the spa has built a stronger, more cohesive team – one that would likely be disrupted and ruined with the reintroduction of this former staff member and their drama-filled ways. Do not go there. Finally, above all, go with instinct. If instinct says that something is a bad idea, then stay away. What’s Your Recipe: How do you inspire healthy competition? The key to creating a healthy, competitive environment for a spa is teamwork. Addressing staff as a team is the first step. This sets the tone that it is not one person that determines the success of the spa or satisfaction of the client, but the team as one unit. A client will most likely interact with at least two, if not three or more, employees at any given visit. It is important that team members understand this and are working together as a unit, first and foremost. How do you foster a non-toxic work environment? Time at work consumes the majority of waking hours for many people. The workplace can feel like a second home to some. For others, it can be a hostile environment. This is why creating a welcoming culture is essential for every company. Here are the five critical components for fostering a positive and healthy work environment. Open communication and being present are imperative. Ask questions to discover what is going well and what challenges employees are facing. Listen intently and ask how to help. Then, follow through on promises to show that their feedback and input matter. One way I do this at my company is through a five-minute huddle at the same time every day. Each team member shares a priority for the day, a highlight from the day before, a roadblock that stands in the way of meeting a goal, and something uplifting (like recognizing a colleague for a job well done). When employees do not have the knowledge or tools to do their jobs well, a recipe for frustration, job dissatisfaction, and careless work begins to simmer. Talk with employees about what they aspire to achieve in their careers to best help them on a course of learning that will help them succeed. No one feels excited about going to work where the vibe is drab and mundane. If given the choice between working in a dynamic environment of optimism or one steeped in stagnant negativity, the choice seems obvious. Strive to create a work atmosphere that motivates and inspires employees. Gauge the success of the company’s culture daily by listening for laughter and looking for smiles that indicate employees are enjoying their work and each other. Try taking an hourly, five-minute break in which the team engages in an agreed-upon group exercise – like sun salutations, lunges, or crunches – to get blood pumping and creative juices flowing. Staff members often work in different locations in the building, so these mini-breaks bring them together to do something positive. Another suggestion to encourage comradery is to have everyone pitch in to create a potluck lunch once a month. Positive team culture is sacred. From rigorous vetting processes when hiring to holding everyone accountable for poor behavior, professionals should vehemently protect the harmony they build for their teams. Demonstrate integrity as the leader and make it clear that the same is expected from employees. As a business leader, setting goals is important – not only for the professional, but for keeping employees motivated, as well. Developing an incentive program based on goals can help – especially when it includes a common goal that team members can achieve by working together. By enabling team members to collaboratively overcome challenges and reach goals, professionals aid employees in increasing their individual self-confidence. These ideas are just a few of the many things professionals can do to establish a work environment that is not only non-toxic, but also wholly appreciated. What’s your recipe for understanding ingredient lists? Ingredient lists displayed on retail products abide by the International Nomenclature of Cosmetic Ingredients (INCI), which is an internationally-recognized system of identifying all ingredients in a product. Ingredients in concentration of 1 percent or higher are listed in descending order, followed by ingredients in concentration of less than 1 percent in any order. However, when it comes to judging the effectiveness of a product, there are more factors than just percentage to consider. Numerous uninformed opinions on product ingredients can be found on the internet. This article will address four of them. The first few ingredients listed on a product label are typically solvents and emulsifiers that add texture to the product, with some active ingredients following. Ingredient suppliers recommend percentage ranges for actives to use in formulations. Brands focusing on results are likely to formulate at the high end of the range, whereas brands competing on price may use percentages below the recommended range as a marketing claim. This being said, effectiveness per percentage used depends on the ingredients. While some ingredients can be used in high percentages, such as some plants, others are effective in small percentages. This is true of actives such as retinol, for which 0.05 percent is high. This is easier to understand when looking at the percentage of a prescription cream bought at a pharmacy: the active ingredients may be 0.01 percent or 0.05 percent. This is enough to be effective and more could harm. This is not always the case. Most ingredients, such as solvents, emulsifiers, or surfactants, have chemical-sounding names because they are called by their scientific names. For example, cetearyl alcohol sounds like a chemical, but it is an ingredient extracted from coconut. Ingredients like this are necessary to make lotions, creams, serums, scrubs, masks, or gels and, when well-chosen, are healthy for the skin. Products cannot be made solely with actives. Two products can have the same ingredients and INCI, and one is effective and the other not, because the INCI gives no indication of the quality of an ingredient. Hyaluronic acid, for instance, could be of high quality and high molecular weight and cost 50 times more than a low quality hyaluronic acid of low molecular weight. High quality ingredients deliver results, but a high percentage of a poor quality ingredient will not make a good product. Think of the variety of foods and nutrients a person must eat for a healthy body, like vitamins, minerals, trace elements, antioxidants, and so forth. The same is necessary for the skin. Skin can suffer many issues, such as dehydration, free radicals, redness, acne, aging, or pigmentation. Many ingredients may be required to correct such problems. Effective products have many ingredients that work in synergy. For example, to replace a synthetic color additive, such as blue No. 5 in a toner, it takes 30 flower extracts to make a natural alternative that also delivers skin benefits. This makes for a long INCI. When it comes to understanding INCI and product labels, manufacturing methods, quality of formulation, percentages, and quality of ingredients must all be considered. Also, remember that some manufacturers disclose the sources of their ingredients, but not all do. The key to choosing quality products with trusted ingredients is doing research and staying informed. The effort is well worth it, as better ingredients equals better results. How do you help clients improve their self-esteem? Unhealthy self-esteem is closely linked to an unhealthy addiction to perfectionism. This addiction breeds more insecurity, which further decimates self-esteem. Many have watched others endure great stress to be perfect, only to discover perfection only exists behind rose-colored glasses. What's your recipe for proper moisture balance in skin? As the months speed by and seasons change, skin undergoes changes too, such as dehydration, flaking, roughness, redness, and cracks – all of which are signs of imbalance in the epidermis and dermis. Facial treatments can re-establish balance in the client's skin. What’s your recipe for recommending nighttime treatments? Sleep is a time to recover, repair, and restore damage to the body that is created from the stresses of the day. In response to stress, people produce more cortisol. High levels of cortisol suppress serotonin, the hormone needed for sleep, thereby preventing the body from shutting down and going into a deep sleep. What’s your recipe for making a client feel comfortable? What’s your recipe for encouraging teenage clients to follow a safe sun routine? 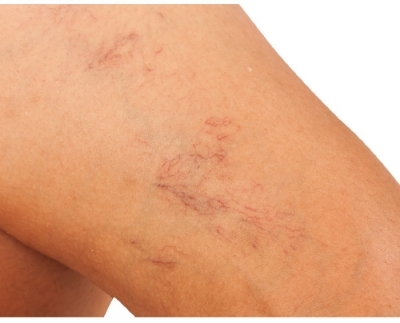 What’s your recipe for broken capillaries?